The LegacyPro Darkroom Safelight is the ideal lamp for your darkroom. 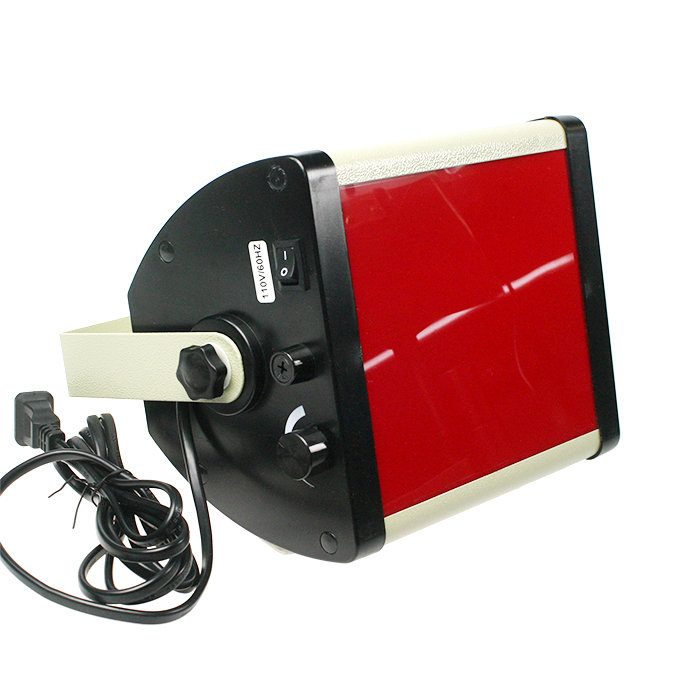 It is a small, economical unit with adjustable illumination and tilting head. 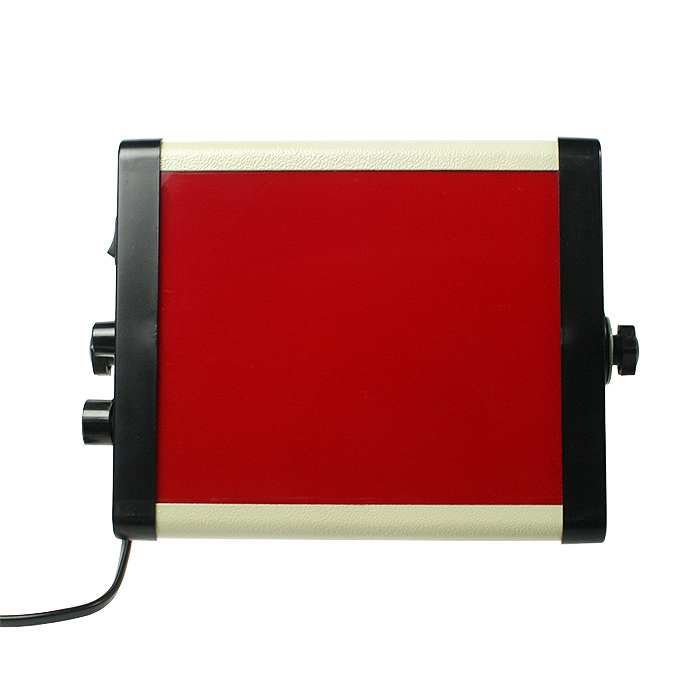 This safelight has a sturdy metal frame, ABS plastic side panels and its filter allows for even illumination. Check your photographic material’s instruction sheet to confirm you have the correct color of safelight. 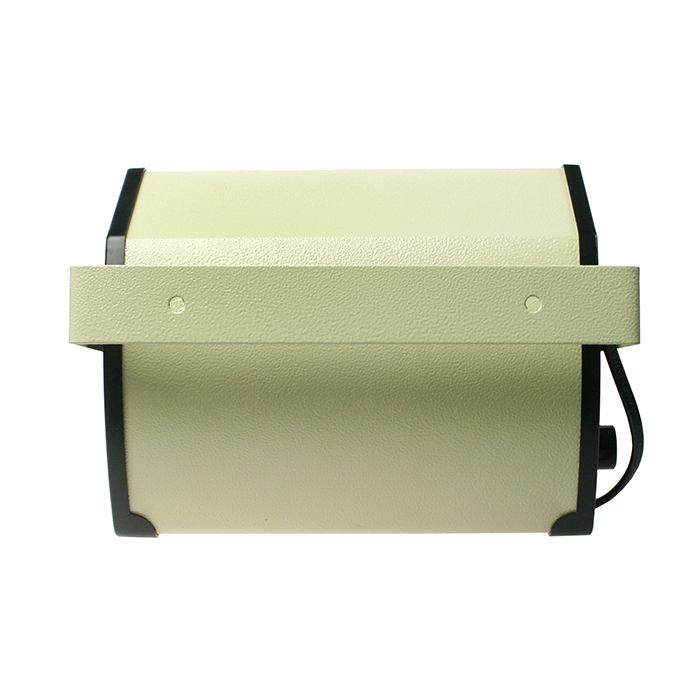 Install your safelight no less than four feet away from your enlarger and developing trays. Test each material, under your safelight conditions, periodically. Paper sensitivity and filter quality can shift over time. In case of fogging, adjust the illumination of the safelight or the distance the safelight is from light sensitive material. Darkrooms should be dark. Too many safelights or safelights that are too close to the material can ruin light sensitive material. 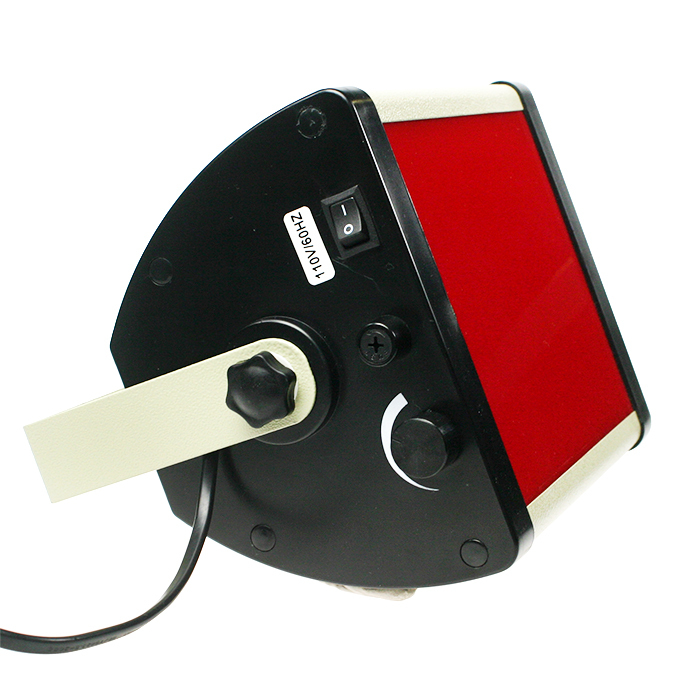 Do not mix red and OC safelights in a darkroom as this can fog light sensitive materials. The LegacyPro Darkroom Safelight comes with protective screw hole covers that need to be removed to replace the safelight bulb. Remove each screw hole cover (from the side opposite the adjustment dial and on/off switch) by pressing a thumb tack into the center of each one and tilting to the side to pop out and expose the screw. The screw hole covers, installed for safe warehousing and transportation, can be discarded. Replace with a 15 watt safelight bulb.